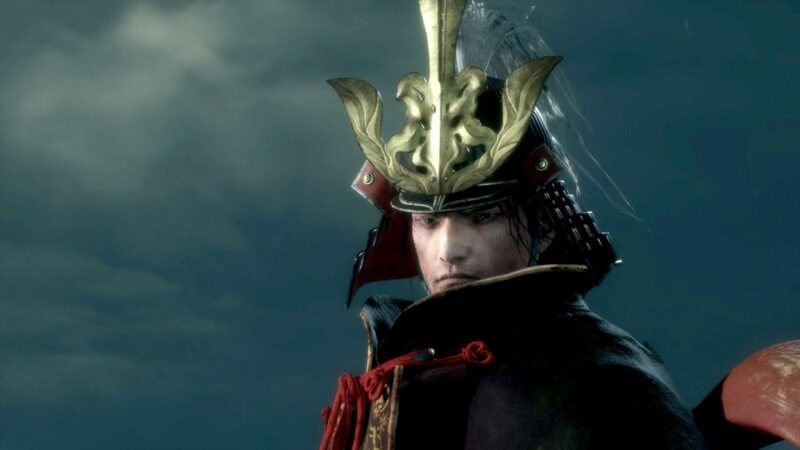 Among the many Sekiro bosses, Genichiro Ashina is by far the most persistent and challenging. He’s the very same chap responsible for lopping your arm off at the beginning of the game and is basically the main antagonist of the game, so it makes sense that defeating Genichiro is a pain in the proverbial. You’ll have to watch out not only for his sword skills, but also his deadly bow attack and lightning abilities. You’ll need more than a little bit of skill to tackle this foe, which is why we’re on hand to offer some helpful tips. Aside from the wide array of attacks Genichiro uses he also deals a huge amount of damage with each strike, moves at lightning speed, and even requires three shinobi death blows to dispatch. You need to be able to block his bow, his sword, avoid his grab attack, and eventually dodge lightning in order to make it through this battle unscathed. So, here are some tips to help you out. Technically, this is actually two phases, as you’ll need to deliver two shinobi death blows before progressing to the ‘true’ second phase of this boss fight. There is a small difference after the first death blow, which is that Genichiro basically gets a little bit faster. As for the fight itself, Genichiro Ashina will always lead with a shot form his bow before charging in to slash at you with his sword. Make sure to try and deflect both so as to build up his posture meter. Or run straight for him and step dodge as he readies the bow – that’ll leave him free for a first attack. The best way to defeat him in his first form is good timing on your deflections and staying close to him so you only really have to deal with his melee attacks. One of the best chances to destroy his posture is when he hunkers down. If he starts to crouch down as though charging an attack it means he is about to launch a long flurry of sword attacks. Try to deflect as much of this is possible before countering. Provided you stick close to him, the main attack to watch out for during this portion of the fight is when he leaps back into the air – this signals a flurry of arrows and is best avoided by running around frantically or deflecting. Equally, you can use your Shuriken Sekiro shinobi tool when he’s about to jump in the air. This is tough to pull off, but you’ll sense it with time as he steps back to ready the move. If he starts running at you get out of the way, this is a grab attack and it will remove half of your health. If you see the red kanji but no movement then you need to use the Mikiri Counter, if you see the kanji and movement, then jump on his head to dodge a devastating blow. There are a couple of additional points worth keeping in mind. Firstly, it is almost impossible to heal during the fight with Genichiro as he will always pull out his bow and fire a quick shot at you. If you’re quick and there’s some solid distance between the two of you – like when he crouches to prepare for a slew of slashes – then dodging sideways will allow you to heal without taking damage, but expect Genichiro to be on you like a rash soon after. The second point is that his jump attacks can be very tricky to read, especially during phase two. You can block these, but your best bet is to hang until just before he strikes and then dodge sideways. After this you can get a couple of strikes in and then prepare to counter. Honestly, if we could wield lightning, we would probably lead with that in a fight rather than save it for the last portion, but then we’re not one of the many Sekiro bosses. Your best bet for defeating the Way of Tomoe form of Genichiro is to start as close to the boss as you can. This drastically reduces the chances of him using his giant lightning slash or his lightning arrows, both of which are obnoxiously damaging. Most importantly, however, when he readies a lightning attack, jump. Then, when struck by lightning, attack before you hit the ground to deflect it. This ‘Lightning Reversal’ move inflicts Genichiro with shock and leaves him open to further attacks. If you want to dodge it, then you can jump backwards to avoid the slash, and run sideways to evade the lightning arrow. Other than these new attacks, Genichiro uses the same attacks as he does in the first phase, so stay close to him, continually deflect, and make the most of the Mikiri counter in order to take him out. If you can get through the first phase fairly unscathed, this second one might actually seem underwhelming as long as you stay aggressive. So, have plenty of confidence and stay in his face. Another way to shred Genichiro’s posture is to bring the Loaded Axe with the Fang and Blade ability. Every time you manage to counter an attack, launch straight into a three-hit combo with Loaded Axe, dealing additional posture damage with the sword via the Fang and Blade ability. Careful timing is a must for this strategy and you really can’t afford admire your work. Of course there’s a way to cheese Genichiro! If you want a much easier path to victory then you’ll want to spec your character in Shinobi Arts so that you can get the Shadowrush ability. With this you simply need to bait him into charging you, wind up Shadowrush, stagger him, rinse, and repeat. You can avoid taking almost any damage be jumping back and sideways after landing the Shadowrush attack. If you’re really struggling then this is the best way to get past this tricky boss.